Communication is essential in an emergency. 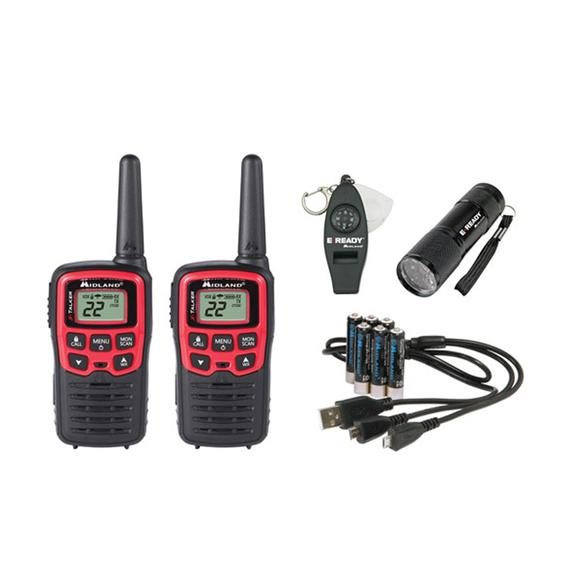 The E+Ready Two-Way Radio Kit has you covered complete with a pair of X-Talker radios, super bright flashlight, multi-purpose whistle and a softshell case. The X-Talker radios have up to a 26-mile range and features 22 Channels (38 Privacy Codes), Channel Scan, and our legendary Weather Alert technology.